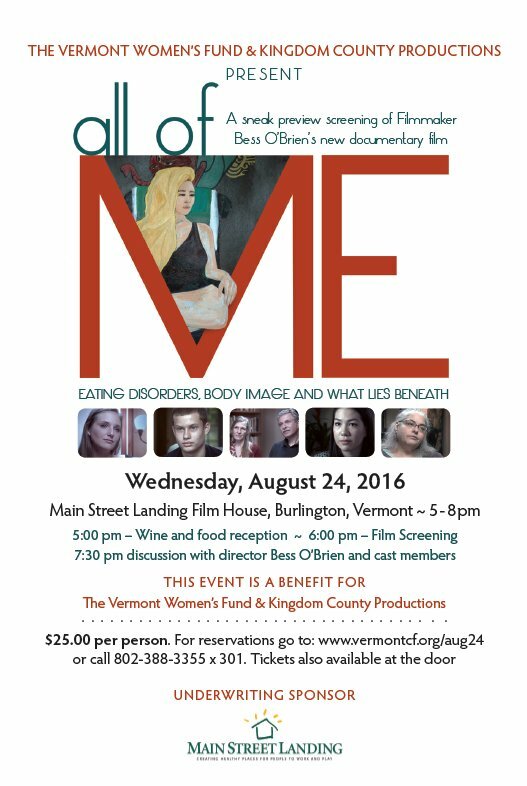 The Vermont Women’s Fund in partnership with Kingdom County Productions will feature a benefit sneak preview of Bess O’Brien‘s newest film, All of Me. Like Bess O’Brien’s other award-winning documentaries (most recently, The Hungry Heart about opiate addiction in Vermont), All of Me focuses on the lives of women, girls and boys who are caught in the downward spiral of eating disorders and their struggle to regain a sense of self-compassion and healing. The film will focus on body image, a lack of connection with one’s physical and emotional being and the need to delve deep within one’s self to find the systemic reasons that triggered this disease. So many of us have been affected by eating disorders, either directly or indirectly yet it is a topic that continues to elicit shame and secrecy. All of Me sheds a compassionate and intelligent light on how we perceive this difficult and often misunderstood disease. Tickets for this event are $25 per person. A reception begins at 5 pm and the film will be shown at 6 pm. Following the screening, Bess O’Brien and some of the cast members will be on hand for a Q&A. This event is a fundraiser for Kingdom County Productions and the Vermont Women’s Fund. Tickets will be on sale soon. 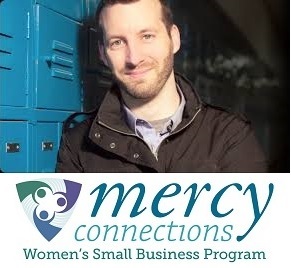 For more information, see vermontwomensfund.org.